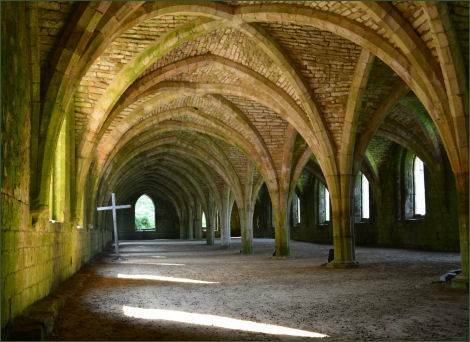 Magnificent Fountains Abbey, a World Heritage Site, is one of the largest and best preserved ruined Cistercian monasteries in England. 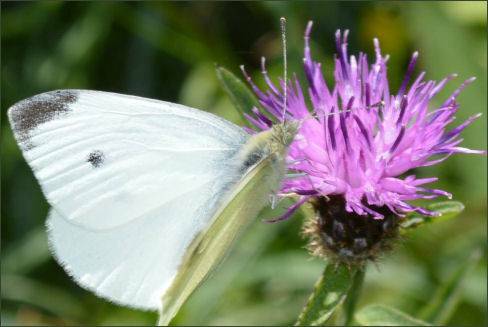 It is located in the Skell Valley around three miles to the south-west of Ripon in North Yorkshire. 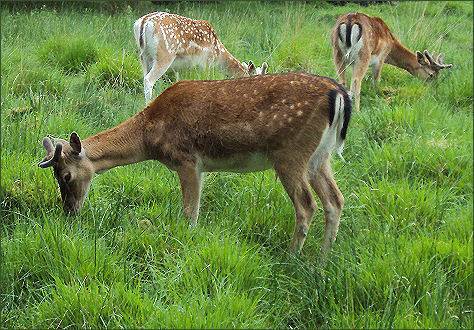 The attraction includes the abbey, a Georgian water garden, a Victorian church, and a medieval deer park. 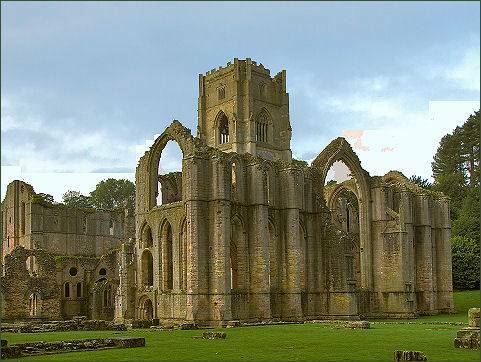 Fountains Abbey was established in 1132 by Benedictine monks from St Mary's Abbey in York. A year later, after enduring a harsh winter, it was taken over by the Cistercian order, who intended to use it as a centre for missionary work in northern England. 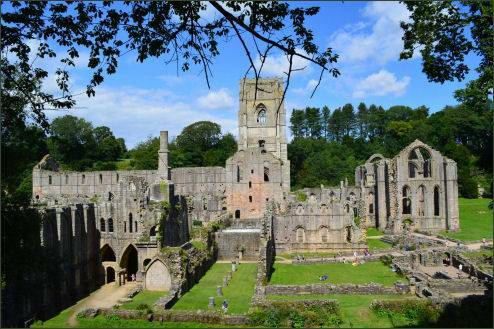 The name 'Fountains Abbey' derives from the large number of natural springs in the area. 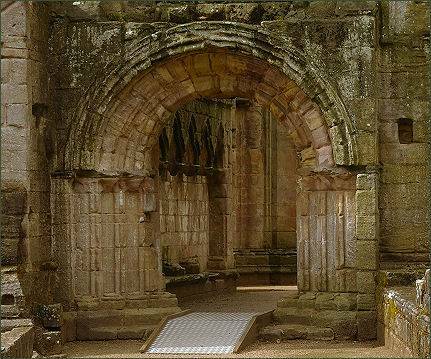 Under powerful abbots like Henry Murdac (1144-1147) and Robert of Pipewell (1170-1180), the abbey quickly grew to become the most important Cistecian house in England. 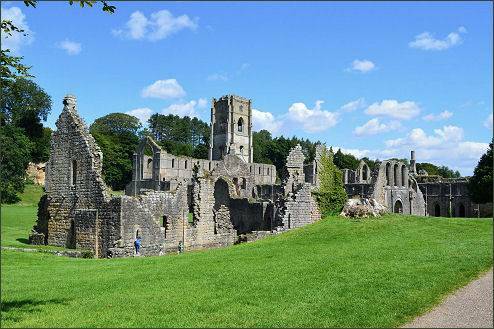 A large part of the abbey's wealth was gained through sheep farming., Fountains was famous for its wool. A large proportion of the wealth engendered by the trade in wool was put into enlarging the abbey buildings and enriching the architecture. Fountains Mill which was used as a corn mill by the monks, stands near the abbey, it was established in the 1130's and rebuilt in the 1150's. A granary was added above the mill in the thirteenth century. Fountains Mill which was used as a corn mill by the monks, stands near the abbey, it was established in the 1130's and rebuilt in the 1150's. A granary was added above the mill in the thirteenth century. Fountains suffered from a combination of raids from Scotland, poor harvests, and the devastating effects of the Black Death. The result of these factors was an economic disaster. 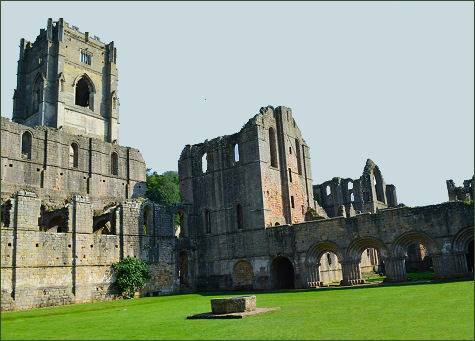 The abbey was dissolved by King Henry VIII in 1539. The Abbey buildings and over 500 acres of land were sold to Sir Richard Gresham, a merchant. The property was passed down through several generations of Sir Richard's family, finally being sold to Sir Stephen Proctor who built Fountains Hall in 1611. 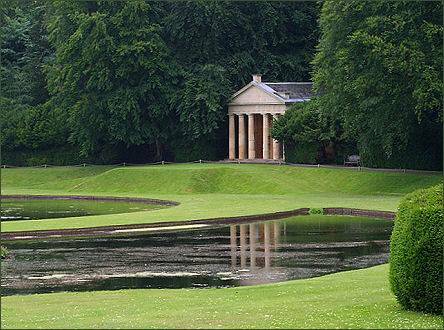 The Studley Royal Estate, a separate estate from Fountains Abbey until 1767, was inherited by John Aislabie in 1693. 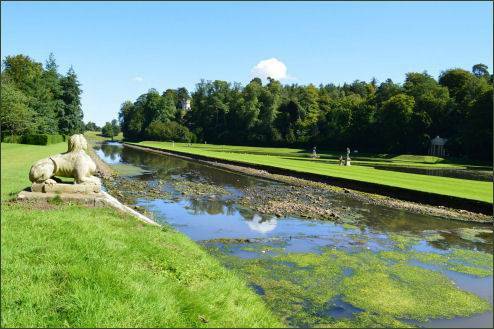 He and later his son William, created the Studley Royal Water Gardens. Located a short distance from the abbey, it is an elegant eighteenth century landscape of curving pools and classical statues, grottos, temples, and terraces, surrounded by a medieval deer park.